David Dimbleby chairs topical debate from Edinburgh. 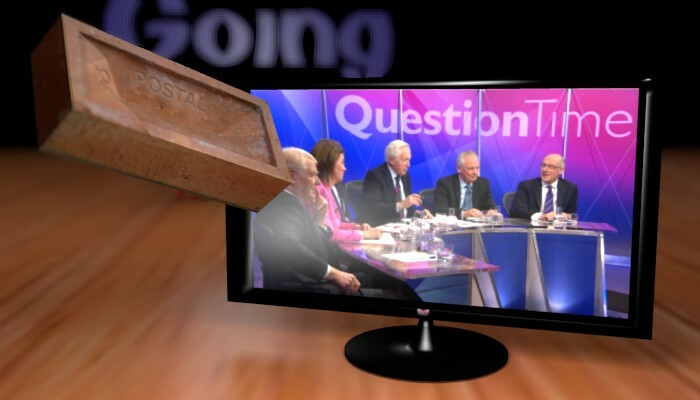 On the panel are Labour’s shadow foreign secretary Emily ‘Hyacinth’ Thornberry, Conservative Home Office minister Ben ‘wet’ Wallace, the SNP’s Joanna Cherry LGBT, obligatory actor (or comedian) David Hayman and Financial Times columnist Merryn Somerset Webb, posh totty. Wankpuffins the lot of them.